ALBUQUERQUE, N.M. (KRQE) - Another trend from the '90s is making a comeback. Platform sandals once again are gracing the pages of this season's fashion magazines, proving that everything old really does become new again. Among those designers bringing the nostalgic shoe back is Steven Madden. 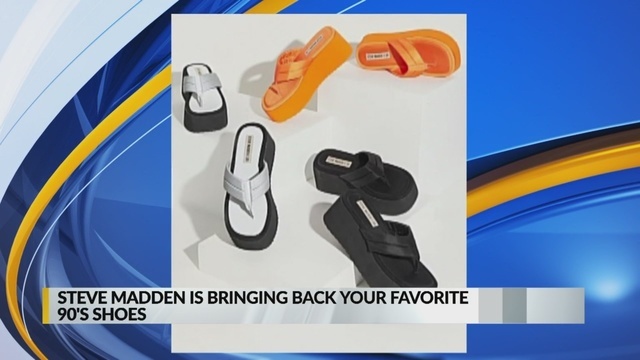 Madden is collaborating with Urban Outfitters to bring the iconic '90s style platform sandals back into stores. Not only did they revive the classic look, but they are also coming out with neon color options.